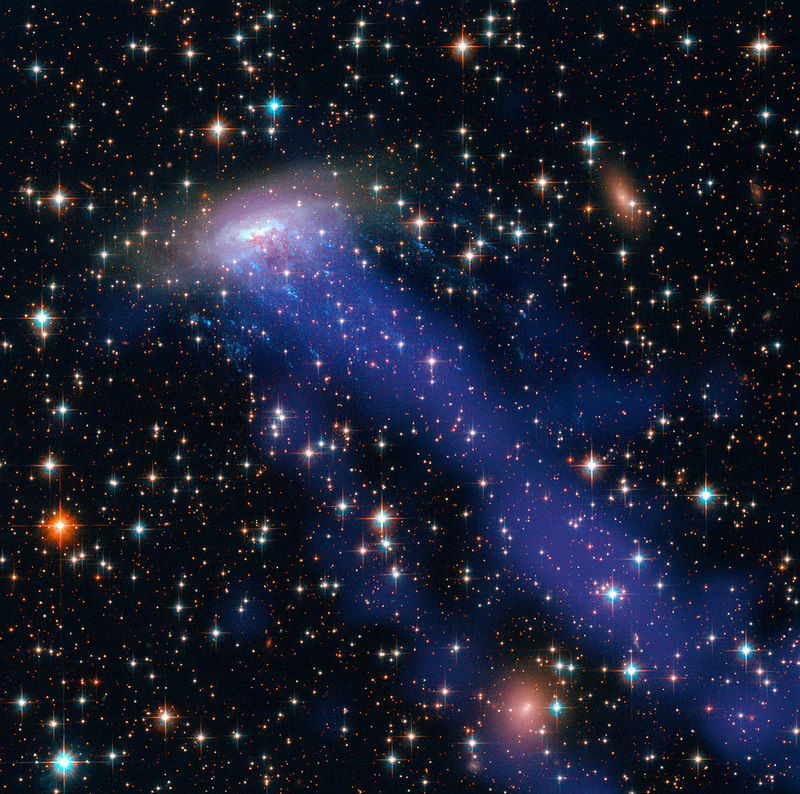 Galaxies stop creating stars at some point during their existence. Does this cessation come from within the galaxy or from external influences? This is one very important unsolved mystery in astrophysics in which Dr. Behnam Darvish, from Caltech/UC Riverside, sheds light in his latest research. Galaxies are broadly distributed into two populations: blue and red. Blue galaxies are still actively forming stars, whereas red galaxies are almost quenched (not presenting current star-formation) and “dead”. The processes responsible for ceasing the star formation activity in galaxies (transforming them from blue/active to red/dead) are still one of the most important unsolved problems in galaxy formation and evolution. The results of this new research led by Dr. Behnam Darvish [Caltech/UC Riverside] studies the effects of both internal and external processes and their role in quenching star-formation in galaxies have been investigated. Strangulation: the supply of cold gas to the galaxy is halted, thus ‘strangling’ the galaxy of the material needed to produce new stars over a prolonged period of time. Stellar outflow: high-velocity winds produced by young stars and supernovae that push the gas out of the host galaxy. By using observable properties of the galaxies and statistical methods, the authors’ results show that on average, external processes are only relevant to quenching during the last 8 billion years, whereas the internal processes are the dominant mechanism for shutting-off star-formation before this time, and closer to the beginning of the Universe. Moreover, they found that the external processes act in a relatively short time-scale (around 1 billion years) and can more efficiently quench galaxies that are more massive, and that internal effects are also more efficient in dense clusters of galaxies. The paper was co-authored by Prof. Mobasher [UC Riverside], Prof. Sobral [Lancaster University], Dr. Rettura [Caltech], Prof. Scoville [Caltech], Dr. Faisst [Caltech] and Prof. Capak [Caltech]. Full news release by UCR Today. Darvish graduated from UCR with a Ph.D. in astronomy in September 2015. The bulk of the research was done while he was working toward his doctoral degree. He is now a postdoctoral scholar at Caltech.